Gentrified much later than other areas of Berlin, Friedrichshain has a reputation as being a bit grittier than the surrounding suburbs of Prenzlauer Berg and Kreuzberg. These days the district of Friedrichshain is an up and coming area even if it is still a little on the rough side. It is home to many boutique independent designers, as well as second hand and vintage shops, and more cafes, bars and clubs than you can poke a glow stick at. 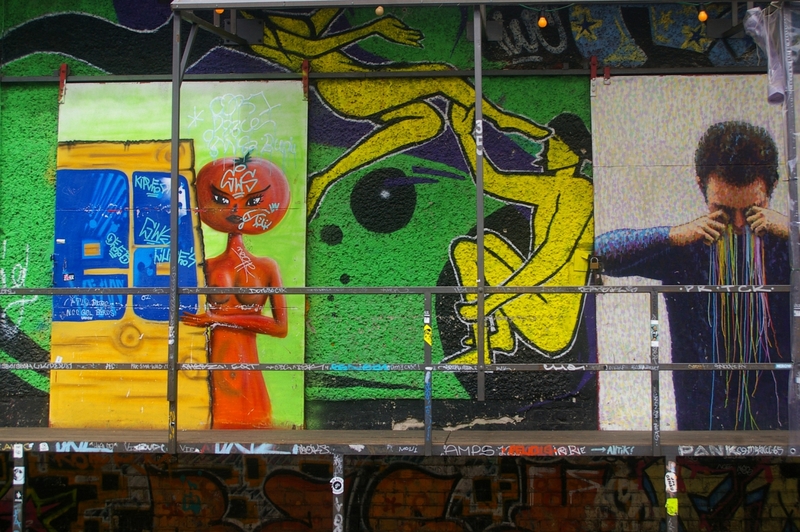 There are still some fantastically colourful graffitied facades in Kreuziger and Rigaeur Strasse as well a few empty lots and the occasional building still lived in by squatters who moved in after the wall came down. Part of the former East Berlin, Friedrichshain sits adjacent to Mitte, Prenzlauer Berg, Kreuzberg, and Lichtenberg. Established in 1920 it was largely working class and took its name from Volkspark Friedrichshain – the people's park. In 1933 when the Nazi’s came into power they, of course, decided to rename the area to Horst-Wessel-Stadt after a Nazi activist who became a martyr after his death. During the Second World War Friedrichshain was one of the most damaged areas of Berlin due to its industrial factories and workhouses. With the Berlin administrative reform in 2001 Friedrichshain was merged with neighbouring Kreuzberg, creating the administrative borough of Friedrichshain-Kreuzberg. Although they are now officially one borough, they are quite different and everyone refers to them separately. The beautiful Oberbaum Brücke links Friedrichshain in the former East, to Kreuzberg in the former West. 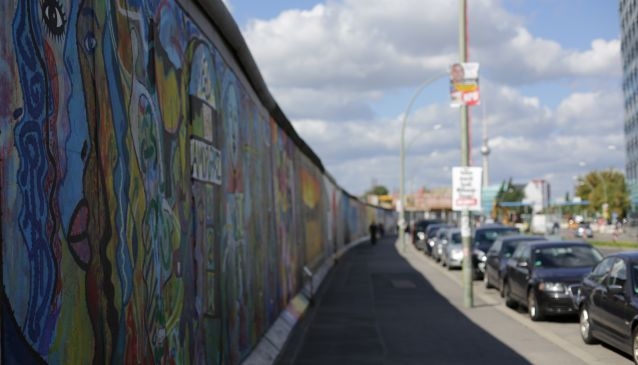 This section of the original Berlin wall would have to be one of Friedrichshain’s most well-known and most visited attractions. In 1991 this 1.3km stretch was turned into an international open-air gallery with work from hundreds of artists around the world painted directly onto the great concrete slabs of history. 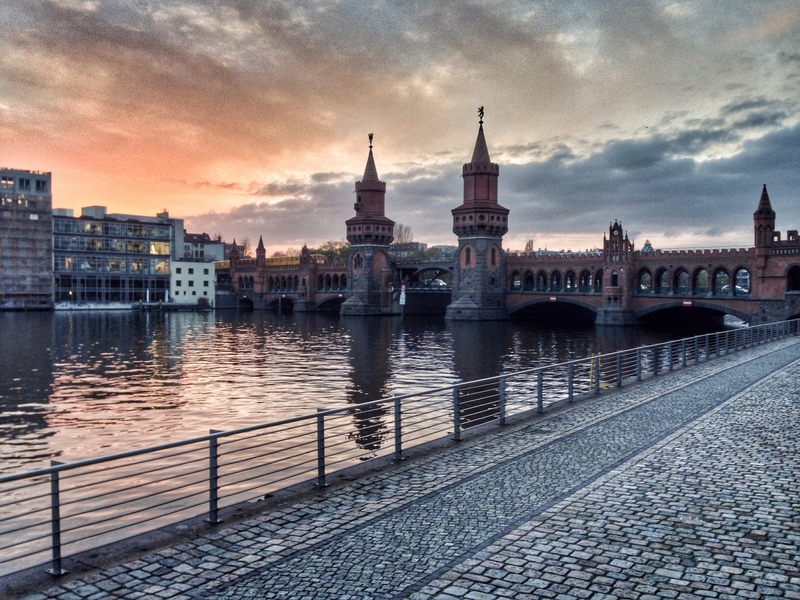 Catch a train to Ostbahnhof for the best start to walk the wall and finish off at the glorious Oberbaum Brücke. Another chapter of Berlin's past for those interested in architecture, the communist period, or just a bit of classic Berlin history. 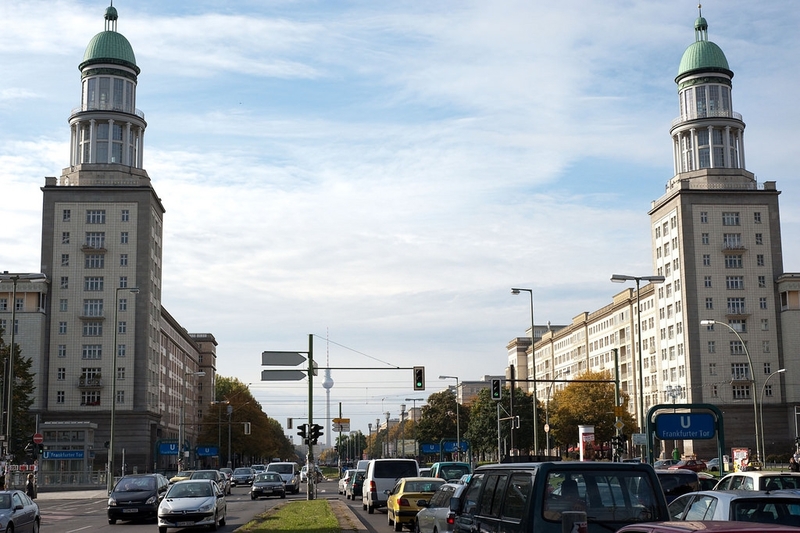 Originally named Große Frankfurter Straße it was named Stalin Allee between 1949 and 1961 when it was redesigned as a monumental socialist boulevard, lined with grand buildings in the Stalin style (also known as ‘wedding cake style’). You can walk the 2 km from one end at Frankfurter Tor to the other at Strausberger Platz and learn the history of the street on the way by reading the marked information stations featuring some great original photos documenting the boulevard’s former glory. This is a beautiful and vast park where you can visit a memorial to fallen Polish soldiers, visit one of the child-friendly play areas, take a run under the water fountain near the Schönbrunnen Biergarten or just sit in the sun on the green grass and lap up the surroundings, watching the beach volleyball. There are also two small mountains created in 1946 on the site of two WW2 bunkers, which were destroyed and covered over with more than two million cubic meters of rubble from the destroyed buildings. Be aware that on sunny days during summer you may come across people working on their all over tan. Friedrichshain is one the best spots in Berlin for nightlife with many bars and restaurants on Simon-Dach-Strasse and Boxhagener Platz as well as several clubs on Reveler Straße. The abandoned rail yards formerly known as the Reichsbahnausbesserungswerkstatt (thankfully shortened to RAW) is home to a bunch of interesting establishments. 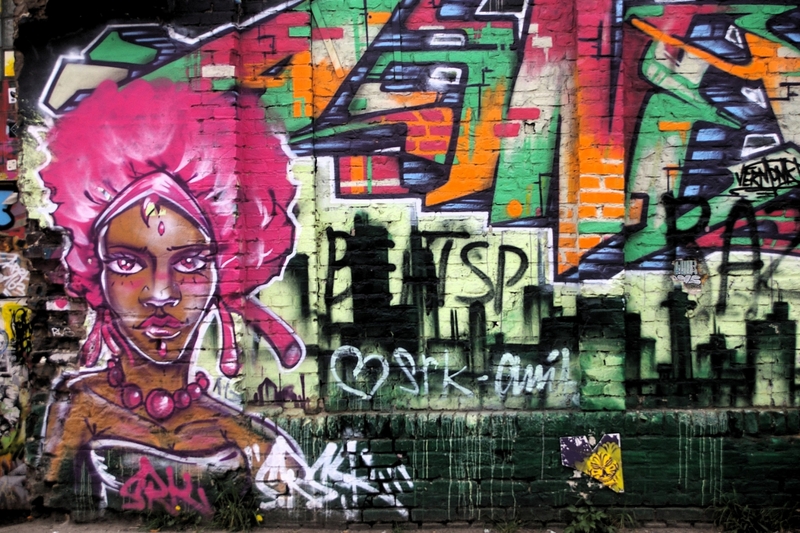 Hidden behind heavily graffitied walls are a couple of great clubs, a beer garden, several art projects, live music salon, a beer garden, a climbing hall and a skate park. A Fleamarket is held here every Sunday and there are also many other public events, festivals and concerts held here throughout the year. Also, if you are into graffiti, this place is definitely worth checking out. Friedrichshain is dotted with local designers, quirky stores, and second-hand shops. If you have the time, we recommend taking a wander around the area of Boxhagener Platz. If you are short on time or have something particular in mind, check out our shopping guide. Boxhagener Platz is also home to two markets every weekend. Saturdays from 9 am to 3.30pm is the food market where you can pick up some great locally made products as well as fresh fruit and vegetables. 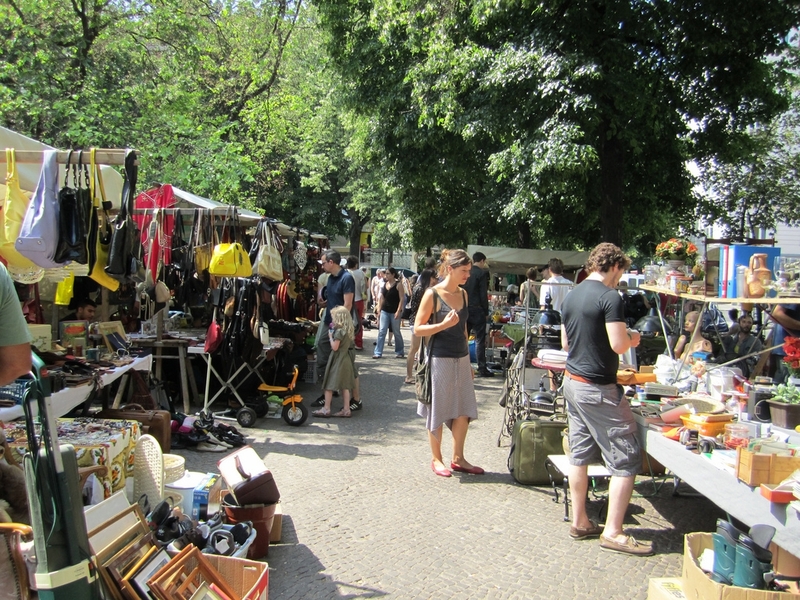 On Sundays from 6 am till 6 pm, the area transforms into a giant flea market. With hundreds of stalls selling everything including bikes, furniture, clothes and shoes, records....pretty much everything you´d expect to see at a flea market, and then a little more.